London-based travel specialist Hills Balfour has been taken over by US group MMGY Global, which claims to be the world's largest integrated marketing company specialising in travel and hospitality, for an undisclosed sum. It is the second renowned UK travel specialist to sell in 2018, following Brighter Group's acquisition by US firm Finn Partners at the start of the year. MMGY is likely to unveil further acquisitions in the UK and Europe in the near future. Hills Balfour offers a range of services including PR, sales, marketing and representation. PR clients include major 2017 win Brand USA and various other local US tourist boards. The agency will keep its name within the MMGY group, but will begin integrating operations with the US firm from its 90-strong London office and 10-person Dubai base. MMGY also has overseas offices in Madrid and Taipei. The merger gives it a total of 400 global employees. Clayton Reid, MMGY’s CEO said: "Expanding our presence beyond Madrid, Hills Balfour is the right step into Europe for us, and we see our foothold in the UK market as an excellent base to expand across the key European and Middle East tourism markets. Their reputation in-market, along with an exceptional senior management team and a loyal and long-standing client base, made our merger of operations an easy one." Amanda Hills, founder and CEO of Hills Balfour, will continue to oversee the London and Dubai firms’ overall operations. Hills founded the PR and marketing agency twenty years ago. She will assume the new role of president, HB and MMGY London and Dubai. There will be no redundancies; Hills said that all of Hills Balfour staff and clients would "be part of this journey". 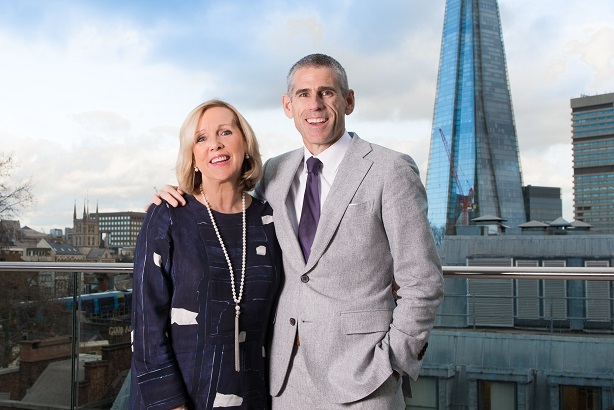 Hills and co-founder Peter Balfour each owned 40 per cent of the agency; 12.5 per cent was owned by corporate director Julian Mills, while MD Jonathan Sloan, who was previously head of PR, held 7.5 per cent. All now take shares in MMGY. She added: "We have worked with MMGY Global and their team through the Travel Consul network for a number of years, and this official partnering was the obvious next step. One of the main advantages is that we will continue to retain our independence, and thereby our autonomy, to deliver the creative thinking for which we are known." MMGY’s acquisition of Hills Balfour follows other agency purchases over the past two years including US-based DK Shifflet & Associates, Myriad Marketing, Spring O'Brien and the 2016 purchase of Nancy J Friedman Public Relations. In February 2016, MMGY received a "significant" equity investment from private equity firm Peninsula Capital Partners and Fine Equity Partners.